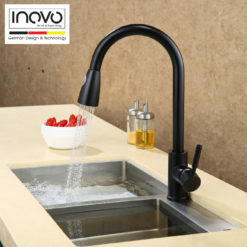 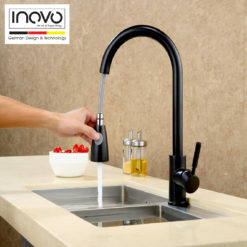 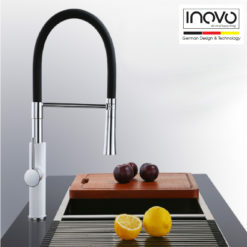 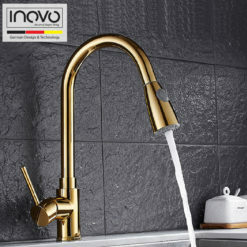 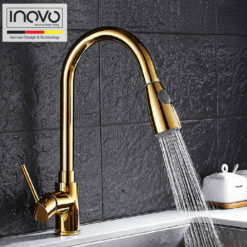 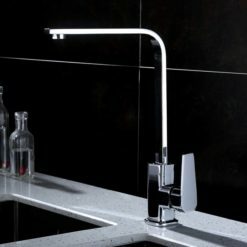 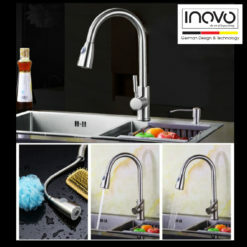 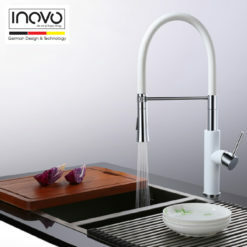 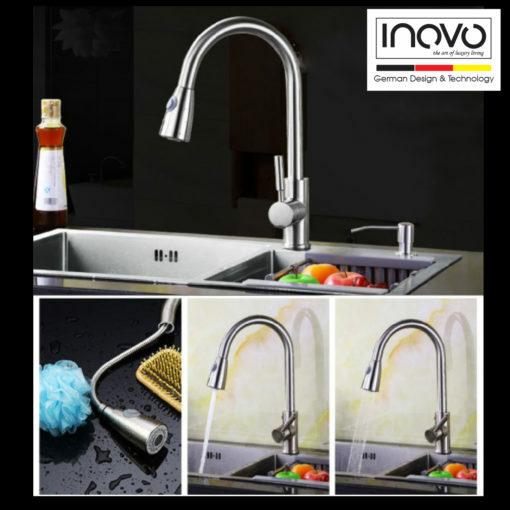 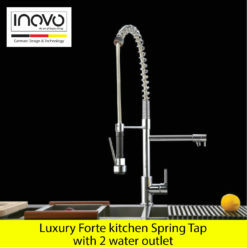 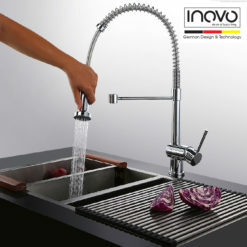 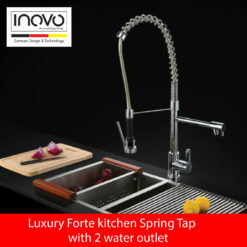 Combining modern style with smart design features, this INOVO Cosima kitchen faucet has a distinctive shape that enhances contemporary decor. The high-arch swing spout makes way for your largest pots and pans, and the pull-out sprayhead allows for more effective cleaning and up-close tasks. 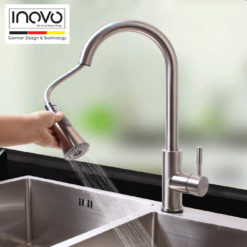 At the touch of a button, the sprayhead switches from an aerated stream to a powerful spray to a convenient pause function. 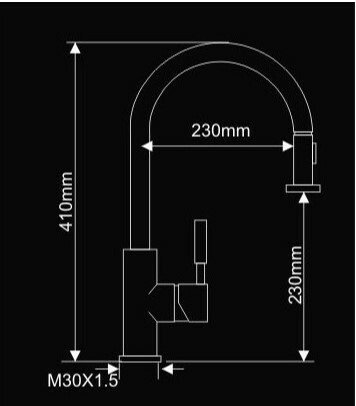 The ergonomic single side lever offers easy control of water temperature and pressure. 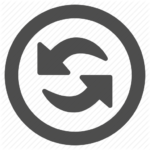 Ecotech™ technology’s light, quiet nylon hose and ball joint make the pull-out sprayhead easier and more comfortable to use. 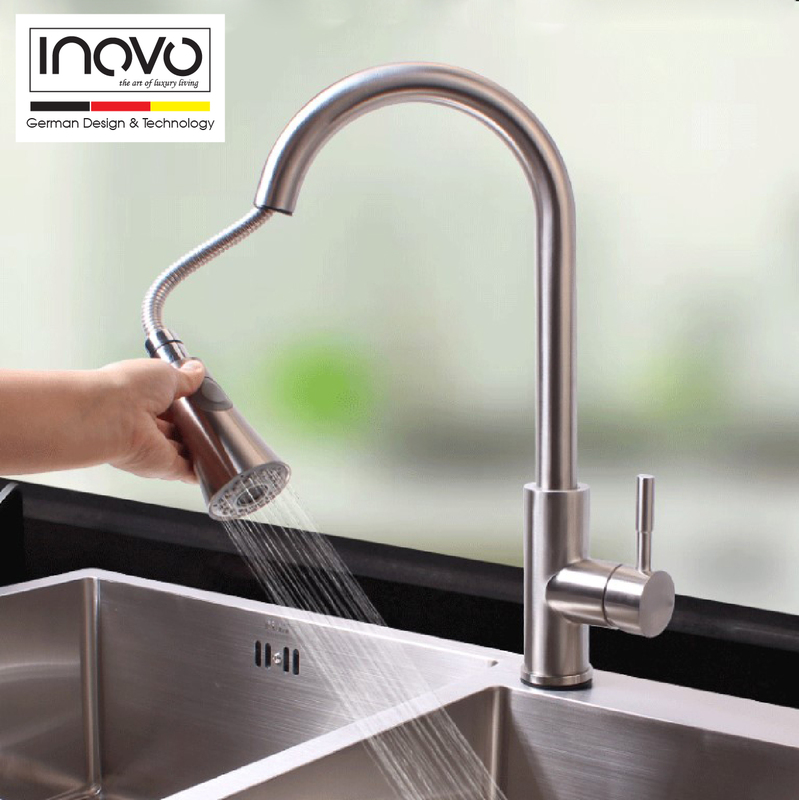 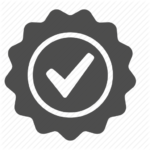 EcoClean™ sprayface features an easy-to-clean surface that withstands mineral buildup. 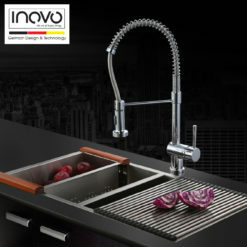 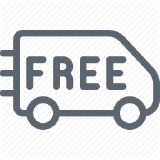 Premium SUS 304 Stainless Steel construction.